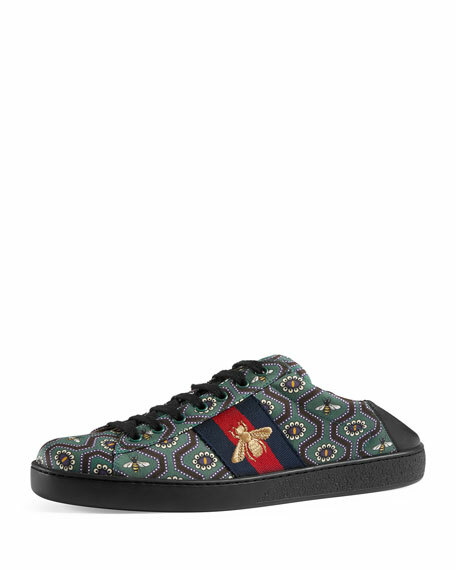 Gucci low-top sneaker in bee and floral print canvas. Web stripe with gold thread-embroidered bee. Soft leather heel can be worn folded down. 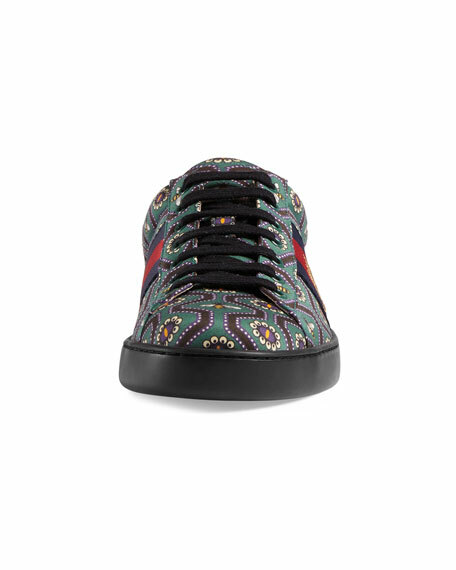 For in-store inquiries, use sku #2216604.